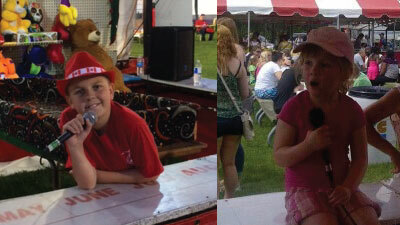 The Kin Carnival is a true family event – both for our patrons and our volunteers. A number of our Kin Kids can be found working alongside their parents and grandparents all weekend long. High School students who need to meet their volunteer hour requirements for school are welcome to join us as “carnival staff”. We would be more than happy to sign off for any hours that they are able to work. 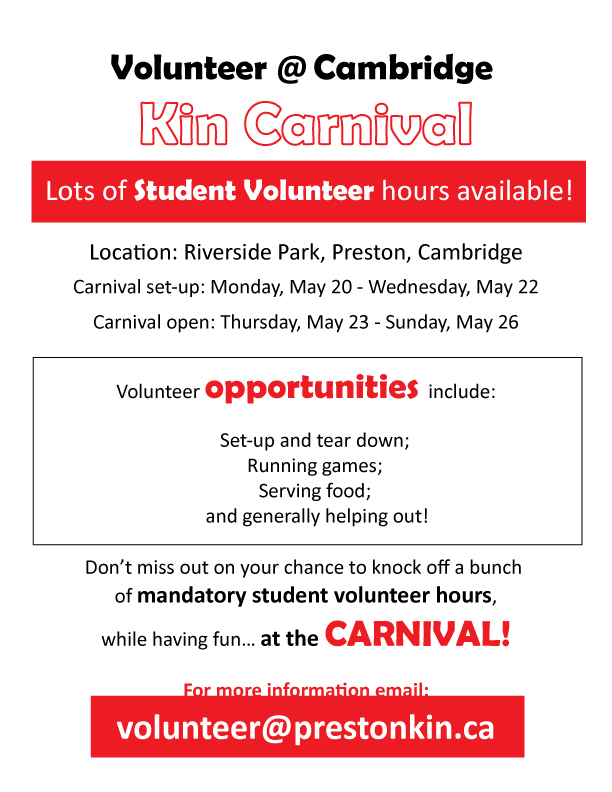 Students could achieve their full 40 hours, or any part needed, of volunteerism by helping with set up of the Kin booths on Tuesday and Wednesday, acting as “carnies” in helping to run the booths during carnival and helping with tear down on Sunday night.